When Lighting Direct Tauranga was asked to suggest a range of bollards for use in the Metlifecare Villages in and around Tauranga, Eric Fisher, Lighting Consultant for the firm, did some digging to see what was available, reviewing a number of bollards - including the new Esylux ALVA from Simx. With equivalent products pricing around $1,100 each, Metlifecare made the decision to trial the more reasonably priced Esylux units at the existing village at Bayswater to review their performance. 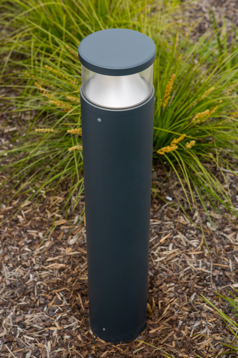 With the successful installation at the Bayswater village, Metlifecare has now introduced the Esylux ALVA bollards at the new Papamoa Gardens Village. “Everyone has been very impressed with the looks, durability and the lighting performance of these bollards and it has meant that we will now use these units in other Metlifecare facilities,” says Eric. *DALI (digital addressable lighting interface) is a two-way communication system that brings digital technology to lighting. It offers the user easy planning, lower costs and interoperability in optimising control of artificial lighting. The system allows individual ballasts to ‘talk’ to the user ... and allows the user to ‘talk’ back via DALI controllers, computers equipped with appropriate software, or building management systems (BMS). 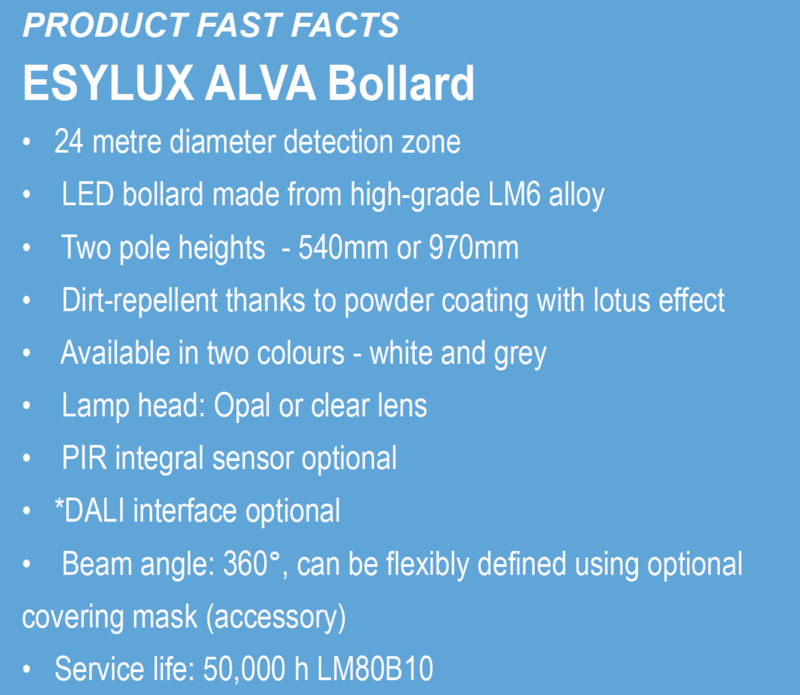 For more information on the Esylux ALVA Bollard from Simx click here or contact us at sales@simx.co.nz or ph 09 259 1660.